We obtain our pig iron from the regional domestic markets. Once it arrives to us, we send it to our domestic interim storage facilities. These inland depots are able to store the products and keep them dry and they process the materials to remove any impurities (fine content). As a result, our experienced team working in the trading offices, back offices, forwarding agencies and warehouses make sure that you are sent the perfect quality and that you receive your orders just in time, i.e. whenever you need this valuable raw material. ACCOST IMPEX PVT. LTD also supplies Nodular and Hematite Pig Iron. ACCOST IMPEX PVT. LTD. is an important supplier of industrial steel for several Asian steelworks and foundries. Primarily, the firm specializes in recycling and trading of ferrous and non-ferrous metals. We handle all types of materials from our sector - from iron and steel, to aluminium, to zinc. Our wide-ranging portfolio includes the collection and processing of such material, trading activities and material flow management as well as demolition and industrial services. ACCOST IMPEX PVT. LTD. is the partner of choice for a whole number of companies located all around the world. No matter whether it be an SME or an international group: we offer them all a wide range of secondary raw materials separated into defined categories and of an assured quality - including FERROUS METALS & INDUSTRIAL STEEL, FOUNDRY PRODUCTS, UNCLASSIFIED STEEL PRODUCTS and a great variety of NON-FERROUS METALS. ACCOST IMPEX PVT. 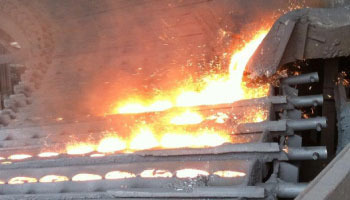 LTD. believes that steel recycling is an indispensable process in today's closed loop economy. We see ourselves as being a supplier for the steel industry as well as an intermediary between suppliers and customers. We carry out our work using STATE-OF-THE-ART EQUIPMENT AND HIGH PERFORMANCE FACILITIES inclusive of metallic shears, metal balers and shredders as well as diverse breakers (drop ball technology) and facilities for separating non-ferrous metals. Besides, delivering its materials to the steel and metal industries, we also specialize in supplying foundries. Various types of foundry products are taken to our business locations in domestic as well as the international markets, where they are processed to meet the exact dimensions and sizes required.